Unforgettable Lemon Bread with Lemon Glaze is well, unforgettable! 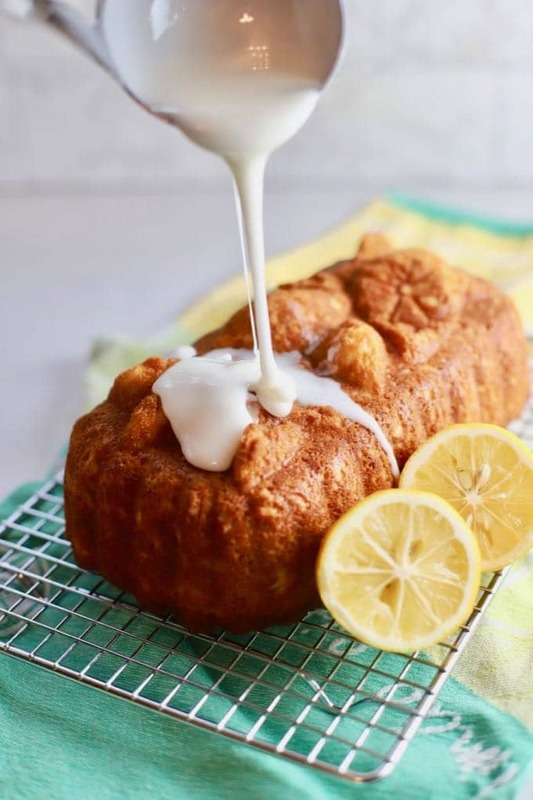 Blanketed in a fragrant, citrusy glaze, this easy lemon bread recipe is a lemon-lovers dream. What to do when life gives you lemons, well you should make lemon bread, of course! Yes, I know it’s a little corny, but I couldn’t help myself. Forget your stand mixer; this simple sweet bread recipe, which is more like a pound cake, is quick and easy to make. You only need a few bowls, a spoon, and a loaf pan. 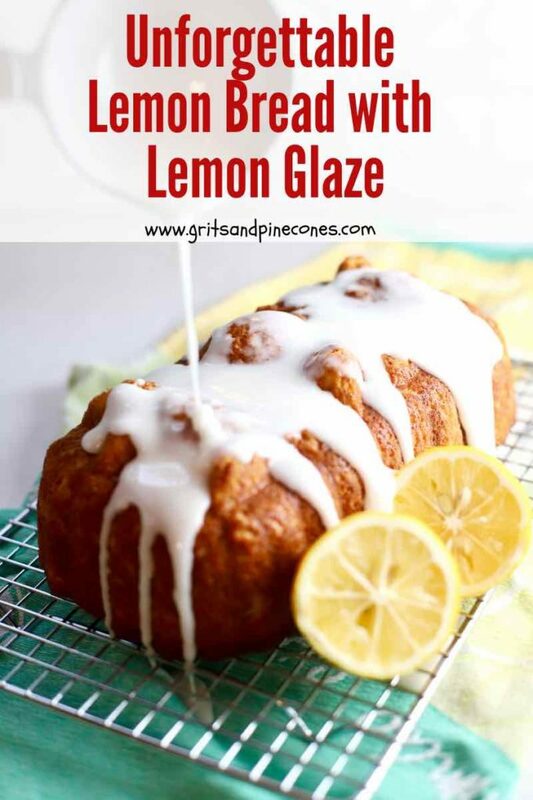 With only two ingredients, the lemon glaze comes together in seconds and adds just the right amount of creamy tart lemony goodness. Unforgettable Lemon Bread with Lemon Glaze is versatile. Serve it with a cup of coffee in the morning for breakfast or brunch, as a quick after-school snack, or as a sweet ending to a special meal. This lemon bread recipe also freezes and travels well. So, it’s the perfect make-ahead treat to take to the beach or on a picnic. Yes, Unforgettable Lemon Bread with Lemon Glaze is classified as a quick bread because it’s so quick and easy to make. 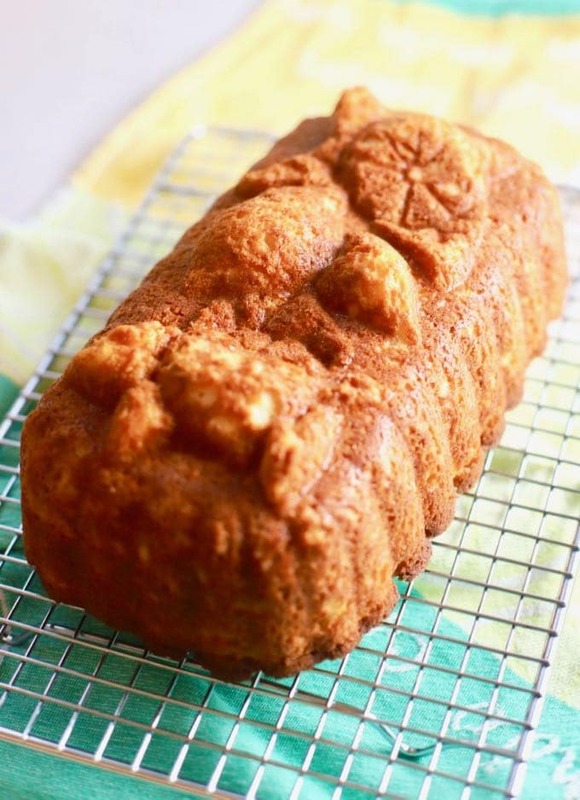 Other sweet quick bread recipes on my blog include Easy Southern-Style Apple Bread and Easy Southern Fresh Peach Bread. I also have a great banana bread recipe coming soon, so be sure to be on the look-out for that. If you are in the market for savory quick bread recipes, be sure to check out my Broccoli Cheddar Cornbread Muffins, and Easy Sausage Cheese Bread. You can also Click here for a complete list of all of my bread recipes, including cornbread and biscuits. 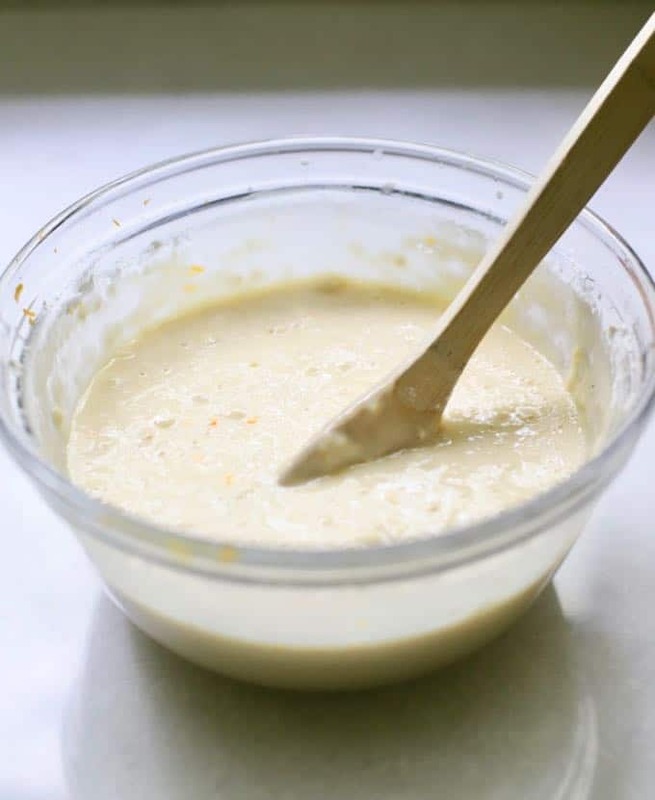 In a large bowl, mix together the eggs, milk, sugar, oil, lemon zest and lemon juice. Set aside. In another bowl, stir together the flour, baking powder, baking soda, and salt. Add the dry ingredients to the wet ingredients, stirring just until incorporated, being careful not to over mix. 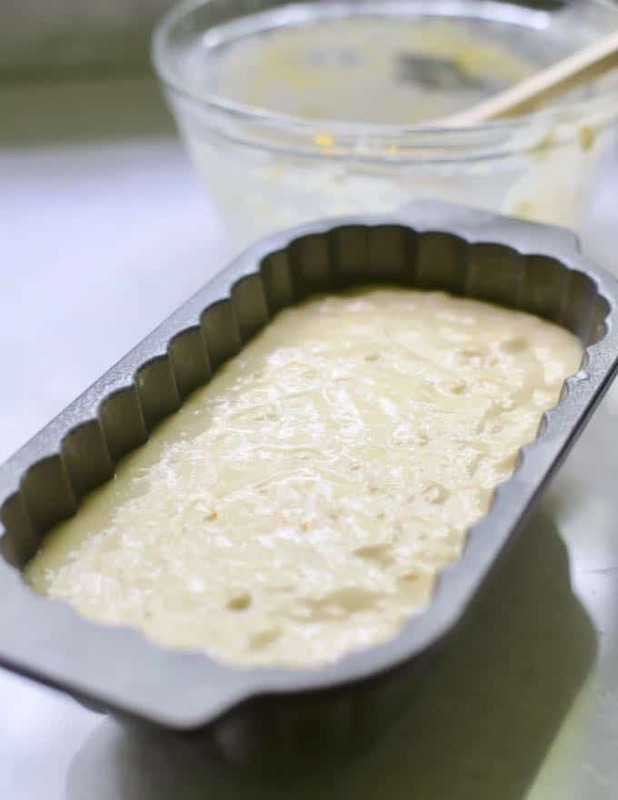 Spray a 9×5 inch loaf pan with non-stick baking spray containing flour or grease the pan well with butter. Pour the batter into the pan. Bake about 35-40 minutes. Baking times vary, so keep an eye on your bread. The bread is done when a toothpick or skewer inserted in the center comes out “mostly” clean. A couple of moist crumbs are okay. Cool the bread in the pan for 5 minutes. Remove from pan and cool on a wire rack. When the bread is cool, stir the glaze ingredients together in a small bowl, adding enough lemon juice to make a smooth, pourable consistency. Drizzle the glaze over the cake. You can use either Meyer or regular lemons. For a delicious change of pace, you can also substitute lime juice or even fresh orange juice for the lemon zest and juice in this recipe. If you are using either a dark metal pan or a glass baking dish, reduce the oven temperature by 25 degrees and start checking the bread for doneness at about 30 minutes. Spray a 9x5 inch loaf pan with non-stick baking spray containing flour or grease the pan well with butter. Pour the batter into the pan. Bake about 35-40 minutes. Baking times vary, so keep an eye on your bread. The bread is done when a toothpick or skewer inserted in the center comes out "mostly" clean. A couple of moist crumbs are okay. 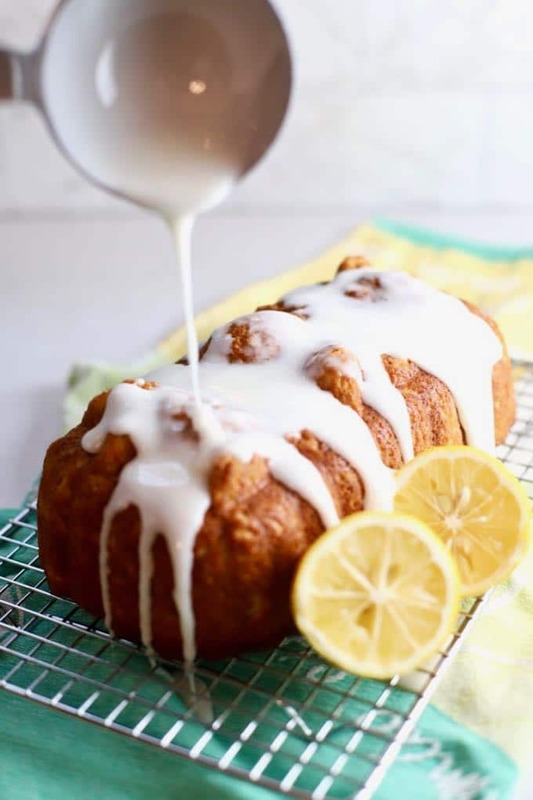 When the bread is cool, whisk the glaze ingredients together in a small bowl, adding enough lemon juice to make a smooth, pourable consistency. Drizzle the glaze over the cake. Awwwww! Just in time for Spring and warm weather. Perfect for the brunch get-togethers that will be “springing” up in the next couple of months. This reminds me of a lemon cake that my mom always used to make. It had a similar glaze, which is making my mouth pucker right now. Your recipe looks fantastic! And I love that you said it has texture like a pound cake, YUM!! Oh, and BTW, your bread pan is adorable!